OMAHA, Neb.--(BUSINESS WIRE)--Proxibid, the most trusted way to connect buyers and sellers of highly valued items, will provide live online bidding for the Silverstone Auctions Race Retro Classic Car Sale taking place Saturday, February 23 in Coventry, Warwickshire UK. Collectors from across the globe can bid on collector cars, automobilia, and watches, all from their home or office via Proxibid. Prebidding for the Race Retro Classic Car Sale is already available at www.proxibid.com/silverstone. The Race Retro Classic Car Sale features more than 80 classic and modern sports cars and several historic motorcycles, as well as automobilia and luxury watches. Whether you’re an avid collector or just getting started, you’ll find the perfect addition to your garage, or wrist, when you bid in this auction. 1964 Ford Falcon Sprint FIA – This left-hand-drive car was raced at Goodwood Members Meeting, Silverstone Classic, and the Spa Six hours during 2017. This Classic big V8 Touring Car is eligible for Masters Pre-66. 1970 Porsche 914-6 FIA Specification – This left-hand-drive vehicle is a genuine factory 914/6 originally supplied to Porsche Finland in April 1970 and was imported to the UK in 2006. Significant work was undertaken by Porsche specialists Historica and BS Motorsport. In 2010, the car was purchased by Porsche racing and restoration specialists Knüpfing Motorsport. The engine in this car was supplied, built to full race-spec, and fitted by Knüpfing Motorsport. It is UK registered with MoT and Historic Vehicle tax status and is ready for immediate use on the road or race track. 1970 Jaguar E Type 4.2 Series 2 Roadster – This left-hand-drive vehicle comes from a private collection and is an ex-California dry state car. 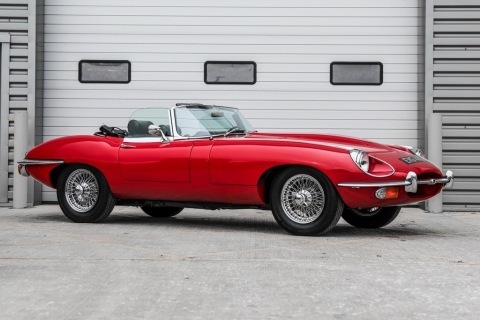 It has matching numbers with a Jaguar Heritage Certificate. It has had a total repaint and was converted to European Specification, features new suspension, brakes, and exhaust, and features a new Mohair hood with restored frame. 1991 Opel Lotus Omega (Carlton) – This left-hand-drive car was imported to the UK in 2017 by the current owner. The vehicle remains unchanged from factory specification except for a modern refrigerant upgrade for air conditioning and is presented in remarkable condition inside and out barring the odd bonnet stone chips. Also included are the Lotus Omega document wallet containing the handbook and service records and the Lotus Certificate of Provenance. Online bidders can rest assured their transactions are secure when they bid live on Proxibid. Proxibid offers the industry’s most comprehensive risk management system, designed specifically to manage high dollar transactions like the collector cars, automobilia, and fine watches available in this auction. Proxibid’s robust online bidding platform is powered by enterprise-class technology and infrastructure trusted by the world’s largest auction companies, and boasts a 99.9+ percent uptime, making it the safest place to buy highly valued items. Proxibid will provide live online bidding for the Silverstone Auctions Race Retro Classic Car Sale this weekend in Coventry, Warwickshire UK.